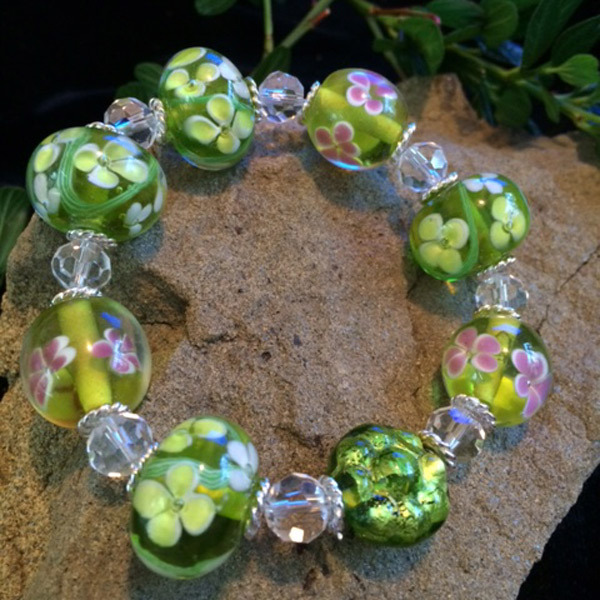 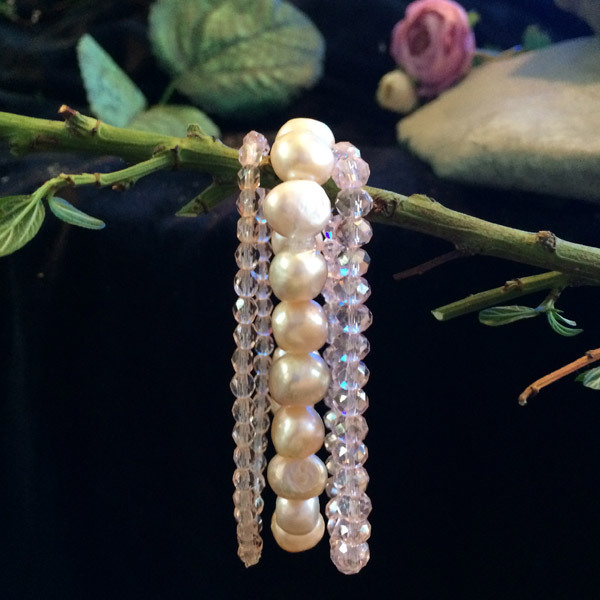 Fresh water Pearl with clear 3mm and 2mm matching Chinese Crystal stretch bracelets in a set Pearls may vary in color, size or shape. 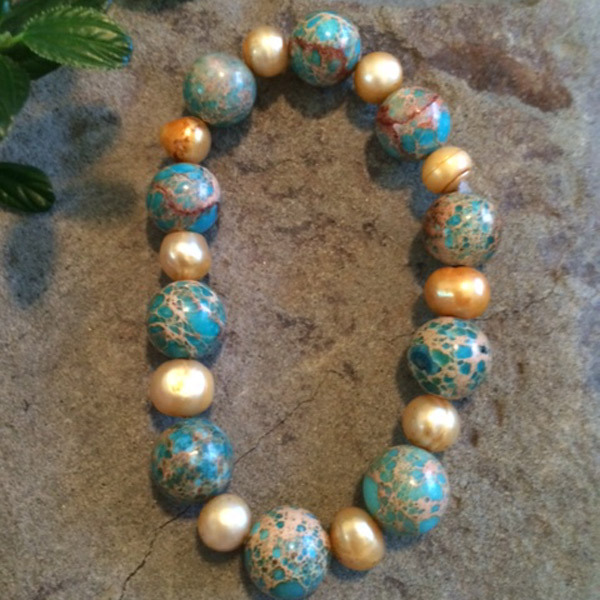 Fresh water gold dyed Pearl and 8mm Jasper gemstone stretch bracelet Gemstones may vary in color, size or shape. 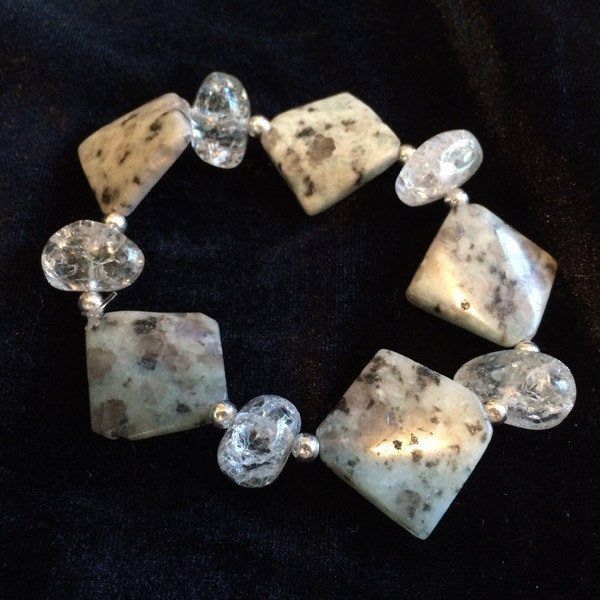 Grey / White / Black Magic Jasper stretch bracelet with clear Quartz and silver color spacer beads Gemstones may vary in color, size or shape.